Zambia. 2016. Kitwe. 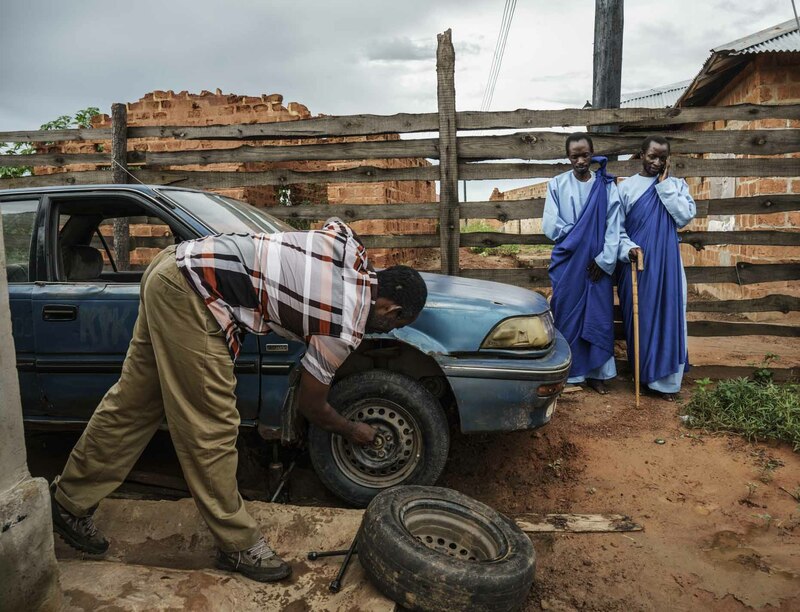 Jesus of Kitwe changing the tires on his Toyota Corolla, as his two closest disciples, Chibwe and Nkumbusko wait in the background.